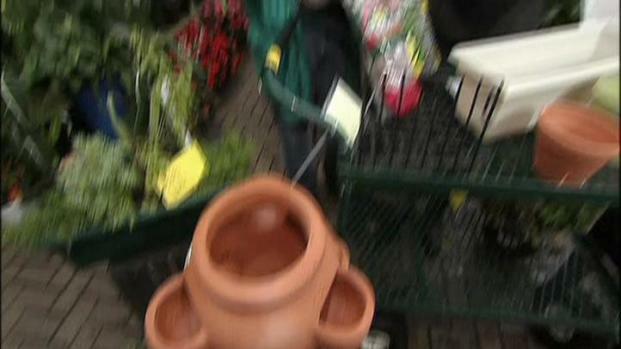 Wayne's Weekend: You don’t need a lot of space to grow your own herbs. In window boxes or small pots, herbs can flourish well and save you money throughout the growing season. Whether you have a window ledge, a balcony rail or a small patio, you can grow your own herbs for cooking and save big money. 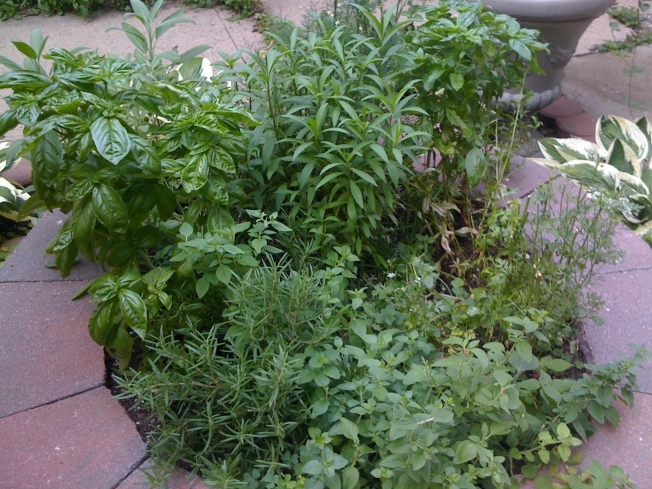 As long as you follow some basic tips, you should be able to enjoy fresh herbs throughout the growing season. I had the opportunity to spend a little time with specialists at Gethsemane Garden Center in Chicago’s Andersonville neighborhood and got a lot of useful information. I’m sure you’ll find a wealth of helpful information from specialists at your local garden center as well. You have lots of options with containers. Use small individual pots with one herb each or combine multiple herbs in large pots or window boxes. Strawberry pots, which have multiple “pockets” for individual plants, have become a very popular option because they are both decorative and functional. Whichever containers you choose, be sure to create proper drainage. Placing rocks, gravel or even broken terra cotta pieces in the bottom of your container before filling it with soil will facilitate proper drainage. Sun is also an important consideration. Herbs traditionally need a lot of sun to flourish, but the amount varies depending on the type of plant. Wayne visits Gethsemane Garden Center in Chicago. Pick appropriate herbs for your style of food preparation. For Italian cooking, select popular herbs like sage, thyme, basil, parsley and chives. For Latin cooking, include cilantro and oregano. You might even consider getting a jalepeño plant or two just for fun. If you enjoy a lot of seafood dishes, consider adding dill, lemon thyme, tarragon and savory. Beyond the herbs you plan on using for cooking, consider adding aromatics, like lavender, simply for fragrance they’ll add to your garden. Selecting the herbs that you like is an important first step. But it’s also important to note that some have different needs. The Mediterranean herbs, like rosemary, thyme, oregano and marjoram, require a great deal of sun and don’t need as much water as others. Herbs like parsley, basil, cilantro and chervil can actually do well in partial sunlight but tend to want more moisture to flourish. If you have the space for more than one container, it’s a good idea to group your herbs by their sun and moisture needs. If you are using pots, also think about moving them during the course of the season to take advantage of the sun if you have limited or short term daily exposure. Be sure not to overcrowd your herbs. Plants grow above and below the ground. Placing your herbs too close together will actually limit their potential because the roots will be competing for soil and moisture. When transferring plants from the containers in which you purchased them, gently loosen the roots, especially on the bottom, before placing them into additional soil. Be sure not to bury them in the soil any high than they were in their original containers. As your herbs grow, liberally cut them back as you need them. Trimming actually stimulates further growth and will ultimately result in a much larger and healthier plant. Thanks again to the folks at Gethsemane Garden Center for their expertise and help. Following some of these basic steps will give you a bumper crop of fresh herbs to enjoy in your kitchen. If you’d like more information, visit their website or chat with experts at your local garden center. If you have any questions or comments for me, please send me an email at wayne@waynesweekend.com or follow me on facebook.